In order to respond to the growing long-term capital needs of the school, Renaissance College has introduced an individual nomination rights scheme whereby applicants will have the opportunity for priority placement, provided they meet the English language and entry requirements. The nomination rights will cost HK$400,000 per student. Year One (2019-20) Nomination Rights ( ESF website ) applications may be made from 10:00 am on 3 September 2018. Click here for how to submit an application. Children under the Nomination Rights will have the priority (to be interviewed and be offered) immediately after applicants whose siblings are already studying at the College. Parents who are interested in purchasing nomination rights will put down a deposit of HK$50,000 upon the application and settle the balance (HK$350,000) when accepting the offer after a successful interview; if the child is unsuccessful in the interview, the deposit will be refunded. For Year One Admissions timetable, please visit Year One Admissions. 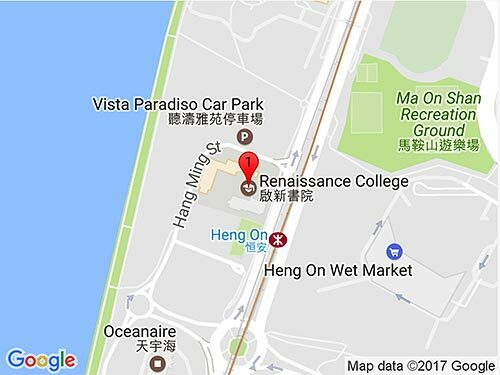 The full nomination rights payment is non-refundable should the place not be taken by the family or if the student leaves RCHK for whatever reasons afterwards. New students entering Renaissance College under the Nomination Right Scheme are still required to submit the one-time payment of the Non-Refundable Building Levy. Nomination rights scheme may be offered to other year groups. Please contact Admissions Office for more information. 1. This Nomination Right is one of a series of 300 Nomination Rights issued by the College. The Directors of ESF Educational Services Limited (the “Board”) may at any time resolve to issue further Nomination Rights on such terms as it may consider appropriate in its absolute discretion. 2. The rights under this Nomination Rights expire immediately upon the Nominee being admitted to the College. c. who otherwise satisfies the admissions criteria as set out by the Board from time to time. 4. For the avoidance of doubt, if the Nominee is removed from the College for any reason then no further nomination may be made by the Nomination Rights Holder. 5. This Nomination Right may not be transferred. However, if the Nomination Rights Holder changes [its] name, then the Board may (on submission of such evidence as it may reasonably request concerning the bona fide nature of the transaction necessitating the changes) deliver to the Nomination Rights Holder (or his/her successor) a Nomination Right in the new name against surrender of this Nomination Rights. 6. The College will keep a Register of Nomination Rights Holders in which to record the name of each Nomination Rights Holder against the number of relevant Nomination Right. 7. The College shall recognise and treat the person in whose name this Nomination Right is registered in the Register of Nomination Rights Holders as the sole absolute owner of such Nomination Rights and as alone entitled to receive and give effectual discharge for the monies hereby secured. The College shall not be affected by notice of any right, title or claim of any person to this Nomination Rights other than the person in whose name this Nomination Rights is so registered. 8. If this Nomination Right shall be lost, stolen, destroyed or defaced in whole or in part so as to be incapable of use, the College shall, on such terms as to evidence, identity, indemnity and expenses incurred by the College in investigating and verifying title as the Board shall require, deliver to the Nomination Rights Holder a new Nomination Right in lieu of this Nomination Right and in the case of defacement, against the surrender of this Nomination Right. 9. Notices under this Nomination Right may be served by the Nomination Rights Holder or by the Board by posting the same in a prepaid letter addressed to the College at its registered office or to the Nomination Rights Holder at its address as shown in the Register of Nomination Rights Holders, and shall be deemed to have been received 48 hours after the time of posting in the case of notices sent to an address in Hong Kong, and 5 days after the time of posting in the case of notices sent to an address outside Hong Kong. 10. The Nomination Rights Holder’s order of priority for an admissions interview for the relevant Nominee as between other Nomination Rights Holders is determined by the time and date of receipt of application for the Nomination Right. 11. This Nomination Right and the conditions shall be governed by and construed in accordance with the laws of Hong Kong. For the avoidance of doubt a child nominated under this Nomination Right shall receive priority in accordance to the College’s Admissions Policy from time to time but there is no assurance of whether or when a place at the College will become available.